This was a Polydor 'privileged member's club' release on the Track label, quickly withdrawn. Some issues were exported and some used for promo purposes. It is a single LP. Side-1 is Side-D of the double release, Side-2 is Side-B of the double release; thus presenting the tracks in unusual order. The wax is stamped 2856 002, but the hand-etched matrix numbers of the original vinyl are also present and struck through. Like the Track Record double vinyl, the track "Come On" has no suffix and "The" is in front of "Burning Of The Midnight Lamp". The white wallet has a punch-hole and is poly-lined, numbered 2/0170. 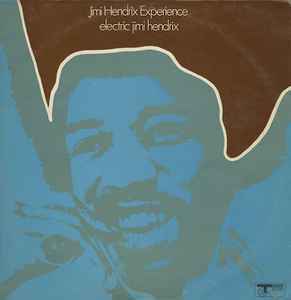 The labels & cover also title the band as "Jimi Hendrix Experience"